Faced with the question “Donut?”, my response is always “No thanks, I’m good.” The lone exception has been the promise of any Doughnut Plant treat to which my eager response is “Where?” So when Instagram friend @nigelsie invited me to an informal gathering that included @gustasian and @dyske.nyc and an overwhelming assortment of examples from donut luminaries, I reckoned a taste test of tempting toroids in the company of this group of discerning palates would be fun. And fattening. Black Label’s varieties included (clockwise from top left): rosemary lemon olive oil curd, orange miso pecan sticky bun, funky monkey (peanut butter banana custard), salted espresso milk jam, Meyer lemon poppy seed, calamansi buttermilk lime. 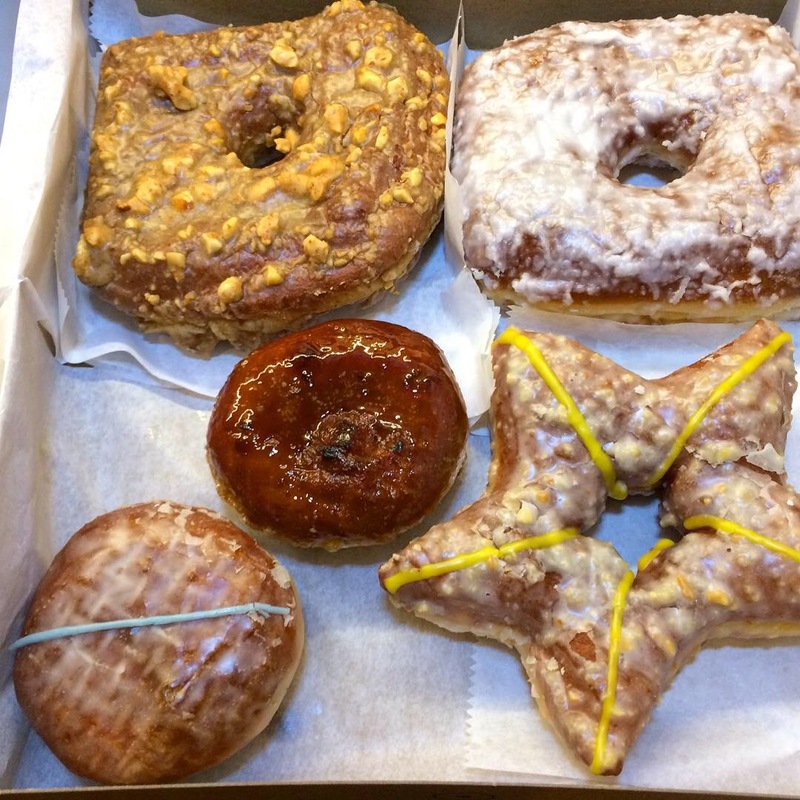 Doughnut Plant – top row: coconut crème (filled), peanut butter blackberry jam (filled); bottom: vanilla blackberry jam dough seed, crème brûlée dough seed, marzipan star. 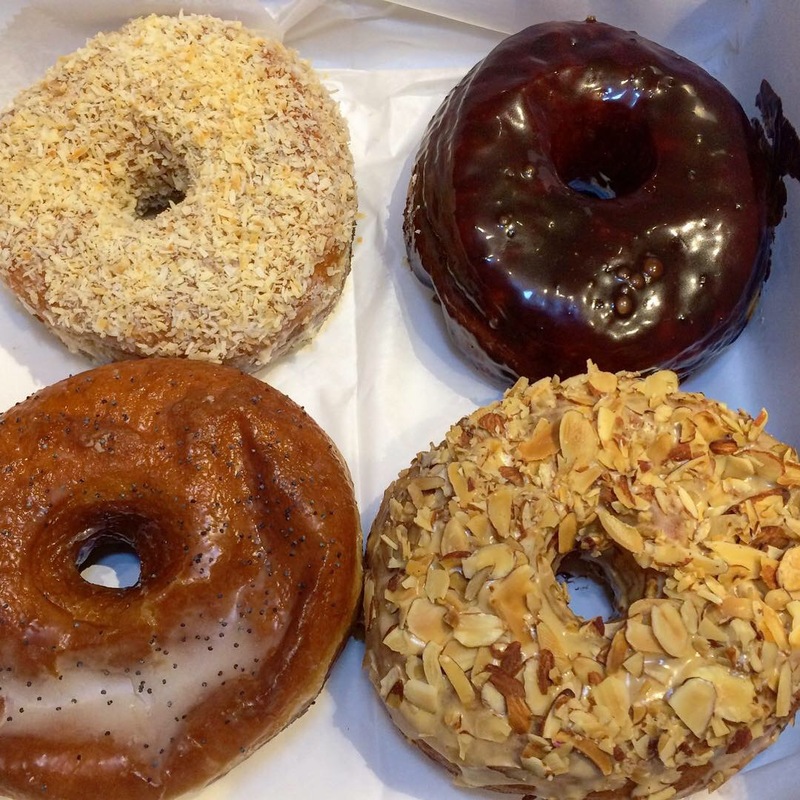 Dough (clockwise from top left): toasted coconut, salted chocolate caramel, dulce de leche almond, lemon poppy seed. To my surprise, I learned that it’s actually more about the dough than the toppings or fillings (although those are certainly significant as well) that distinguishes the provenance. Black Label’s is brioche-like and could make a donut lover out of the staunchest naysayer (me). 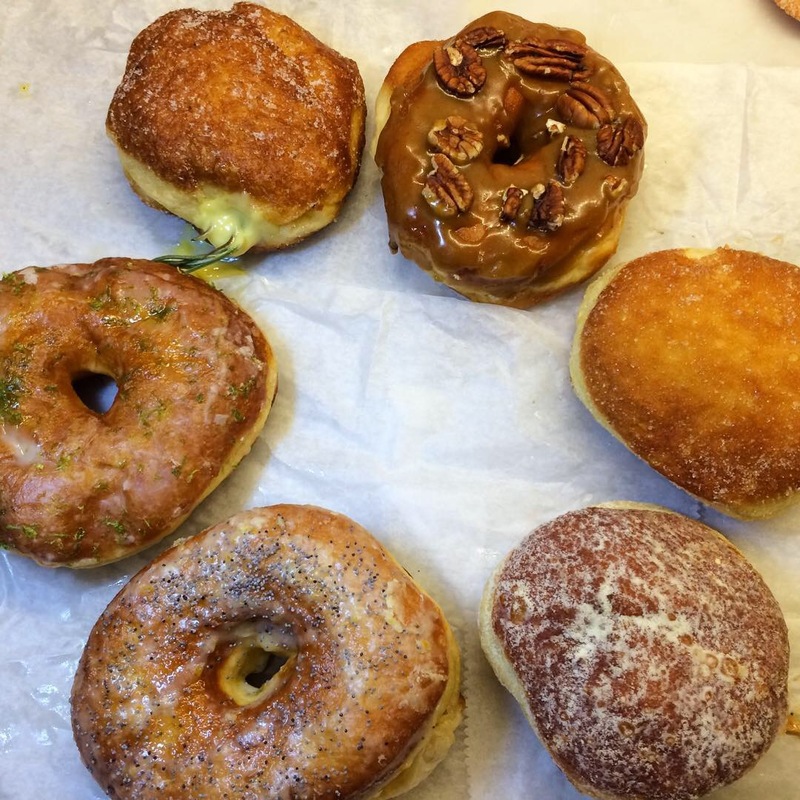 Doughnut Plant’s wares are a little oilier and a lot sweeter – still good, but, yeah. Donuts from Dough are cakey with a tighter crumb, not really my thing, but I know they have their fans. And since it was the first night of Chanukah, traditional jelly donuts (sufganiyot) from Moishe’s had a seat at the table too, but that’s a source of a different cruller. Black Label Donuts can be found Sundays at Nippon Cha, 39-34 Bell Blvd in Bayside. This entry was posted in Instagram, Sweets by Rich. Bookmark the permalink.